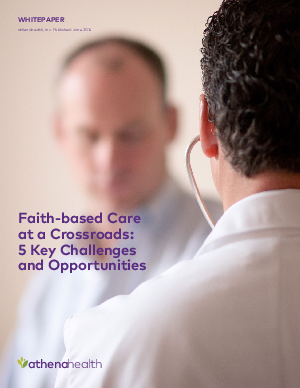 Leaders of faith-based health systems and hospitals shoulder enormous responsibility—they must provide vital care for vulnerable populations in their community while securing the financial future of their organizations and positioning themselves to be the provider of choice in their market. They are faced with these crucial leadership challenges in an era of uncertainty and rapid change. Health care reform, declining inpatient revenue, changing demographics, novel information technology, new reimbursement models, shifts in regulation and dramatic consolidation in the industry have arrived all at once, forcing executives to make high-stakes decisions on a daily basis.